Try posting to blog55426@cornyboats.com and let’s see if it appears like it’s supposed to. 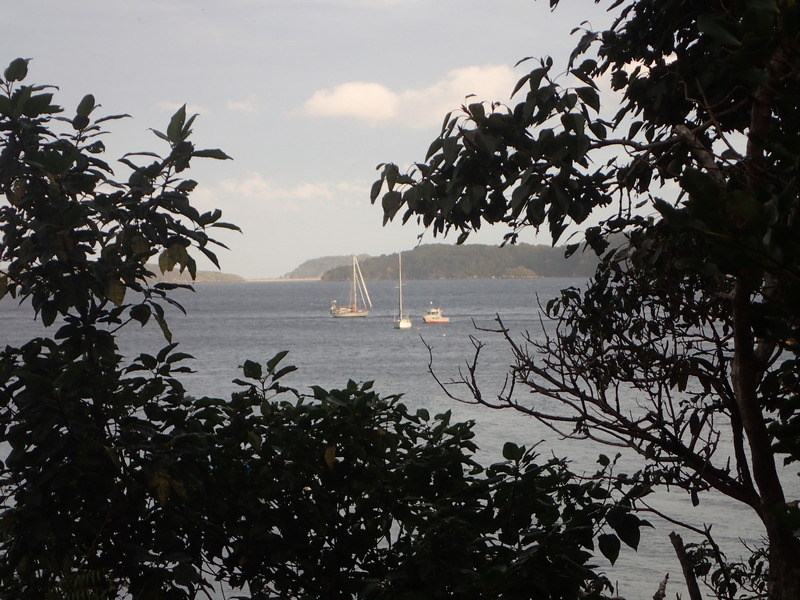 We departed shortly after lunch on Friday June 8th from Marsden Cove and we are making our way to Vanuatu. We left on a beautiful sunny, light wind day. The second day was also a light wind day and we sailed with the 160 jib for most of the day. By evening the wind picked up, we switched jibs and had a comfortable, although rolly, sail with 20 to 25 sometimes gusting to 30 knots of wind. We are adjusting to being on the water again and are slowly getting into our sleep and watch patterns. We are making great progress and have already sailed 327 miles with 685 yet to go. So far this evening we have 15 knots on the beam with about a 1 metre swell. All is well on board. 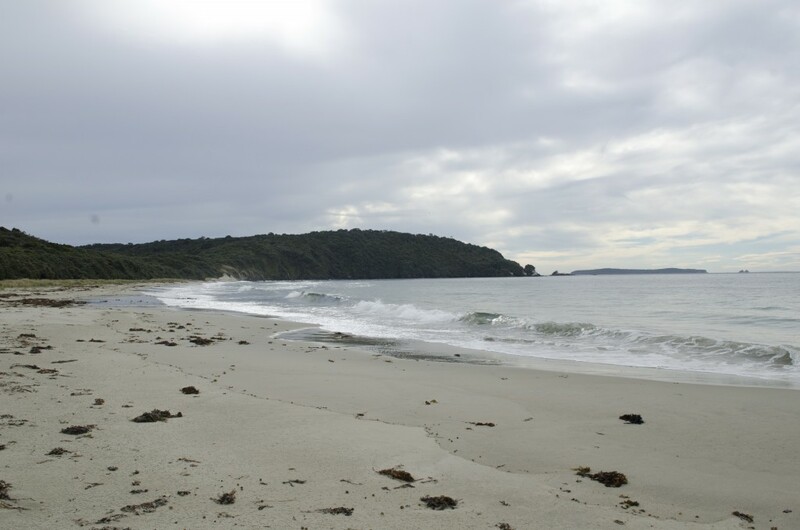 From Tauranga we made one stop in the Great Barrier islands. 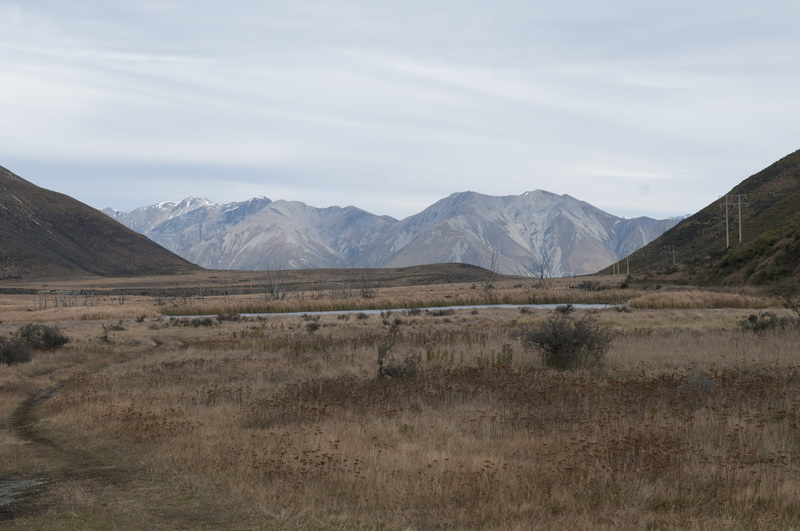 The anchorages seemed deserted and it was a quiet peaceful place to relax and reflect on what we had accomplished, our dream to circumnavigate New Zealand. 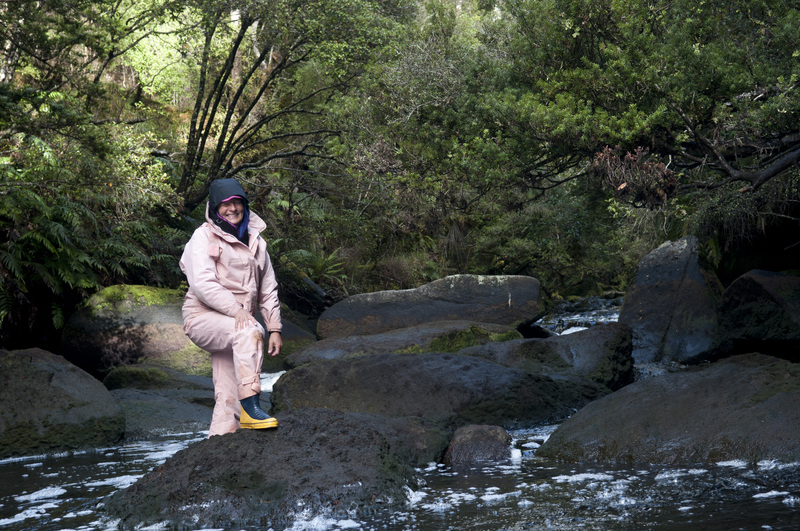 We didn’t do much in the Great Barrier except collect a few rock Oysters. 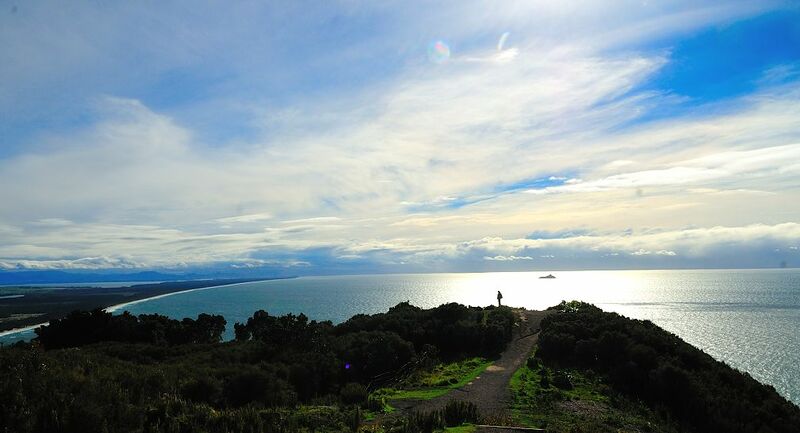 We loved it there and plan to return to this beautiful place in the New Year after the bustling holiday season. The dictionary’s definition for ‘circumnavigation’ describe the word as the action or process of sailing or otherwise traveling all the way around something, especially the world; the action of going around or avoiding an obstacle; the action of avoiding something difficult or unpleasant. It sure does define our entire experience. It is impossible to describe how we felt when we passed the charted way point which signaled our completion of the circumnavigation. 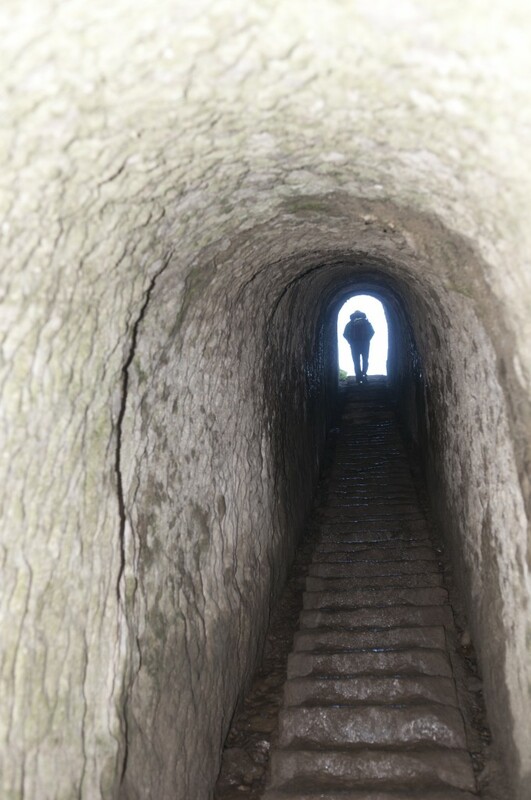 Feeling overwhelmed with many different emotions, we quietly reflected on our journey. 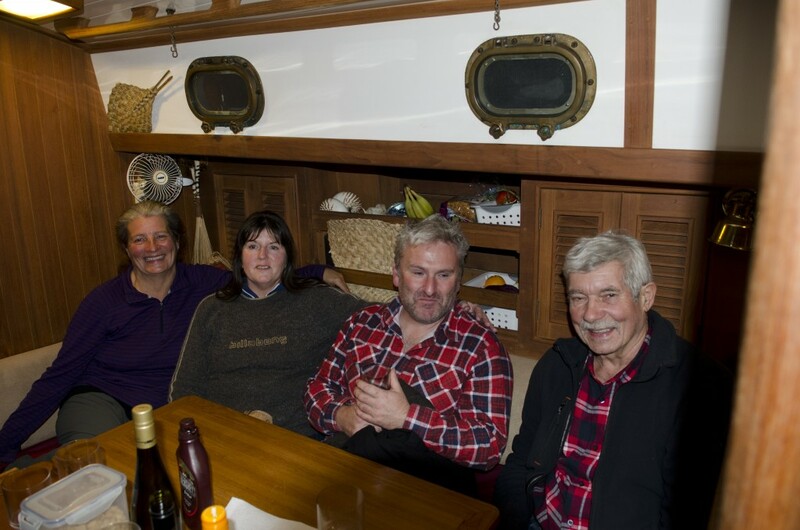 We made our way back to Whangarei, pulled the boat out of the water and spent a few weeks with great friends before heading back to North America. Landfall will be on dry dock until the New Year as we make plans for our next sea voyage. In the mean time we will be visiting with the family and continue our road tripping in Japan and USA. 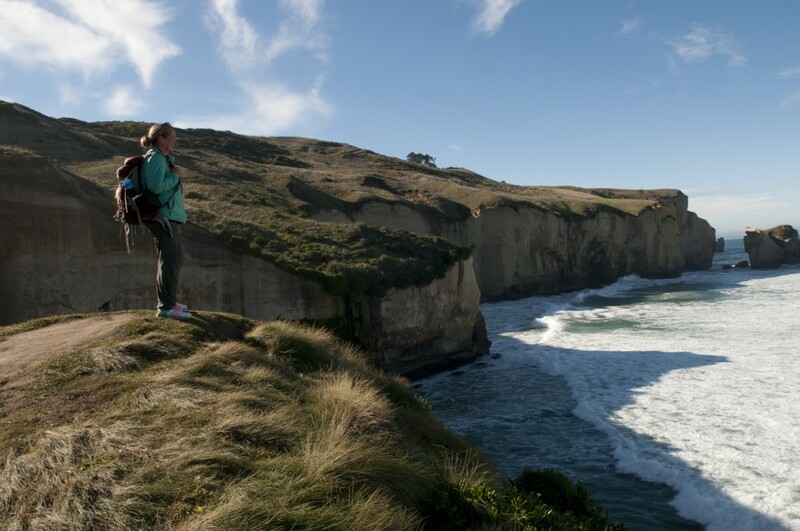 On our first attempt to leave the South Island, we only made it as far as Cape Campbell. The wind was whistling through the Cook Strait from the direction we were trying to sail so it made it almost impossible for us to make any headway. 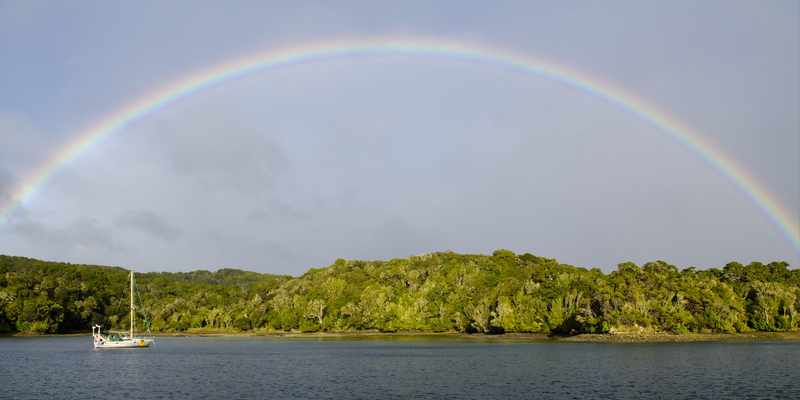 We finally decided to go back to Purau Bay and wait it out for a better weather window. We were disappointed but it just didn’t make sense to keep beating into the wind making very little headway. When we arrived back in Purau Bay we decided that we needed to get some fuel as we had used quite a bit trying to motor sail into the wind. We searched the harbor not finding the fuel dock so we headed into the marina in Lyttelton where we found out that the only place to get diesel was in Christchurch. Luckily there was a very lovely couple that volunteered to take Denny and our Jerry cans into town for our much needed diesel. We were invited to spend a night tied to a temporary docking wharf free of charge and given the combination for the use of the hot showers. We walked to center of town and had a great meal at a cozy little restaurant, Freeman’s Dining Room. 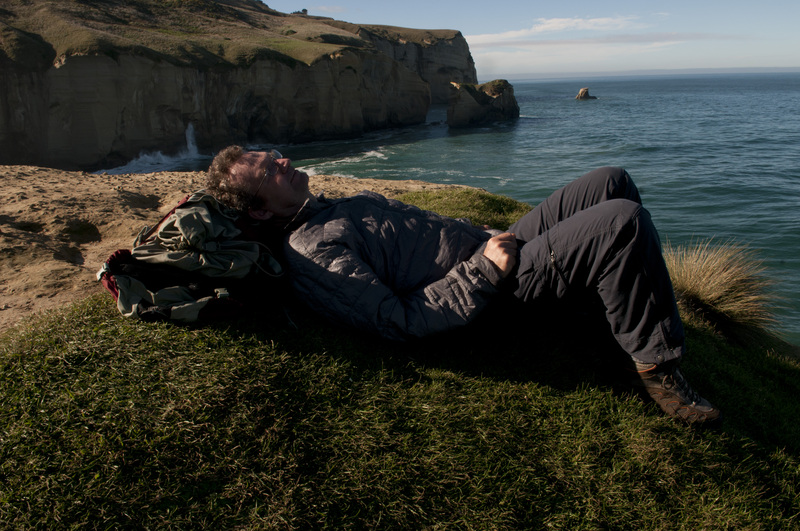 We had a goodnight’s sleep before going back to Purau Bay to wait for another weather window. After a couple of days we made our second attempt to leave the South Island and this time we successfully made it to Tauranga but we did have some challenges trying to round East Cape with gusts of 40+ knots. 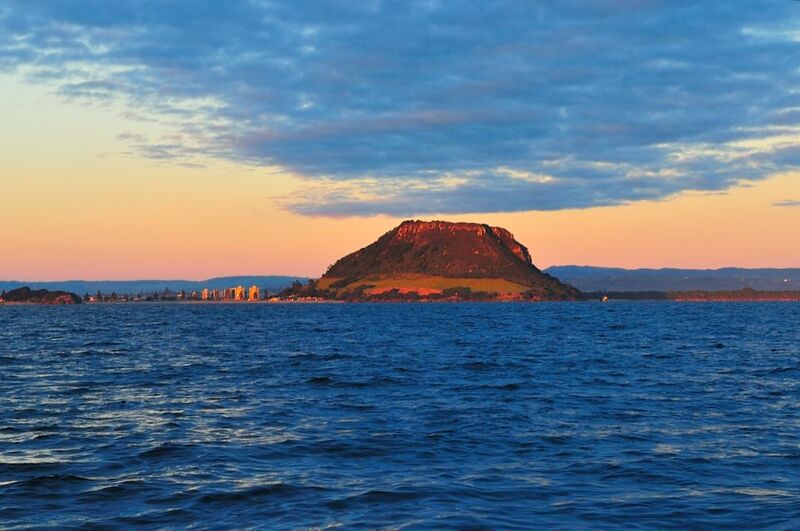 We made it into Tauranga Harbor shortly after sunrise, feeling relieved and happy to be back on the North Island. We did have to get some assistance to tie up to the dock in the marina as there was a 6 knot current. Tauranga Harbour was a large, well kept, modern marina and although it had everything that we needed it wasn’t a place where we, or particularly Denny, would spend a lot of time in. Landfall seemed a little lost among the large boats with no live aboard people only the occasional weekend cruiser. 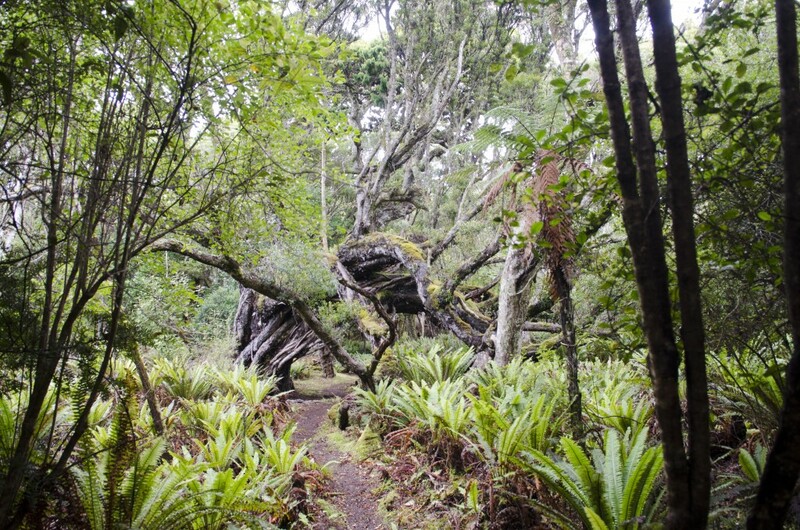 We spent a couple of nights, long enough to purchase a few provisions and do a day hike to Mount Manganui. It was a 20 minute walk and a 45 minute bus ride to the quaint little beach town with many little cafes and restaurants and a large outdoor sea water pool. 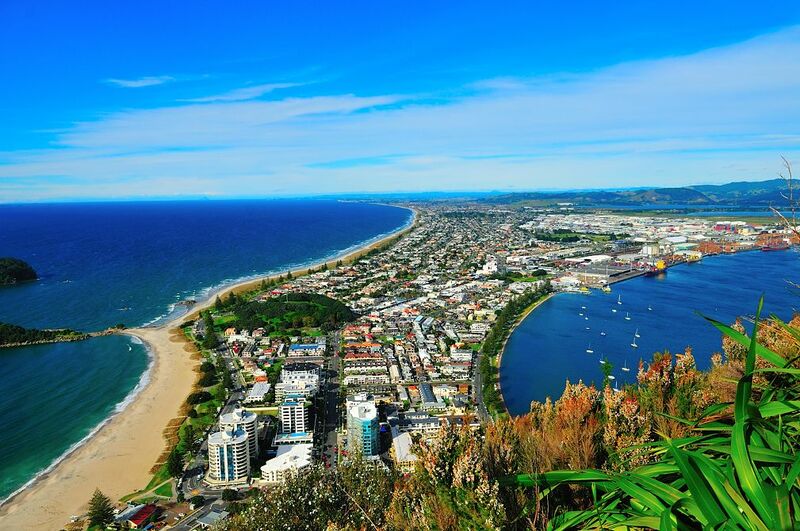 We did the hike to the top of Mount Manganui and got to enjoy the fabulous 360 view. It was all so vastly different from where we had just come from that it took a while for us to acclimate ourselves to the uber touristy surroundings. We enjoyed the bustling town but we were really ready to finish our circumnavigation so as soon as we got a decent weather window we left the marina and headed for our final anchorage destination, Great Barrier. 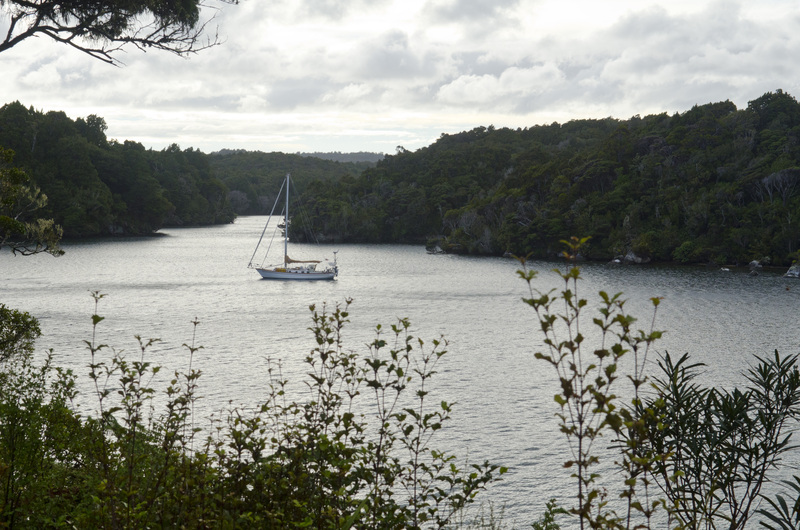 As we motored into Purau Bay it appeared that there were quite a few sailboats anchored there but as we came closer we realized that most yachts were on moorings. We did manage to find a fairly well protected anchorage away from the moorings in 10 feet of water. 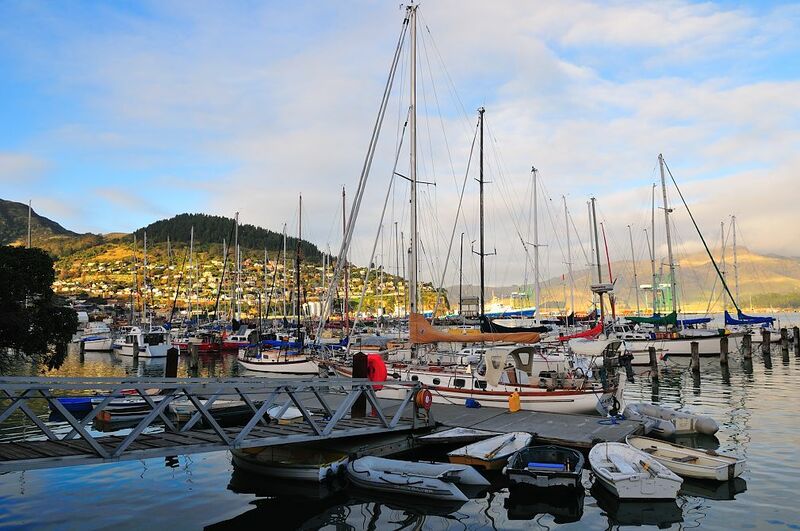 From this anchorage we were able to take the ferry across to Lyttelton and check out the earthquake devastated marina (which is only now being rejuvenated), the small grocery store and lots of quaint little restaurants. 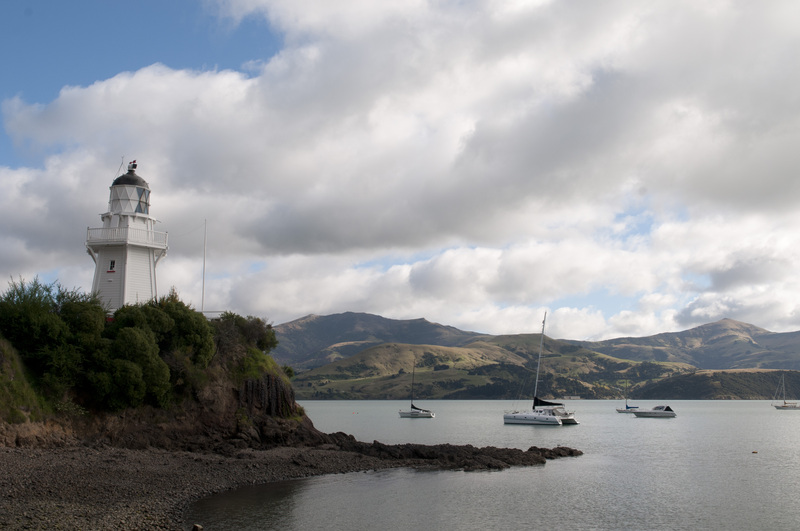 Lyttelton is only a short underground tunnel away from Christchurch which is where most people work and shop. 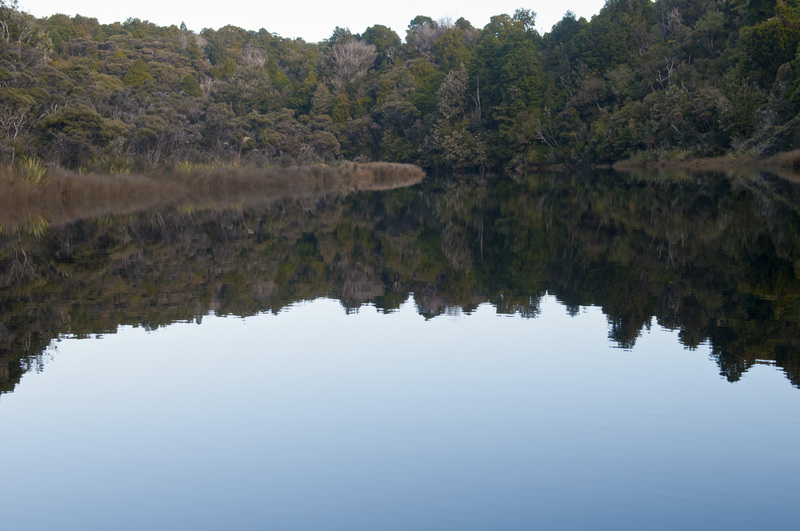 While we were in Purau Bay we decided this was a good place to jump off the boat and do a little road trip. 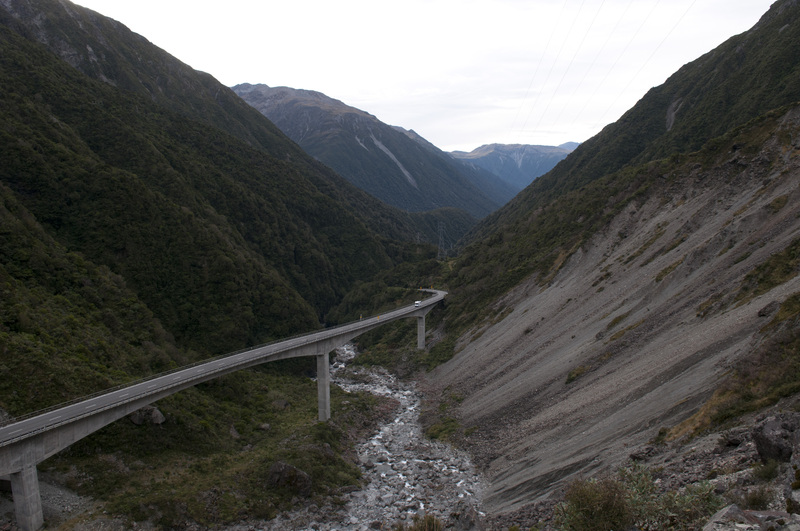 We rented a car in Christchurch and planned a route that would take us coast-to-coast traversing the Southern Alps via Arthur’s Pass. 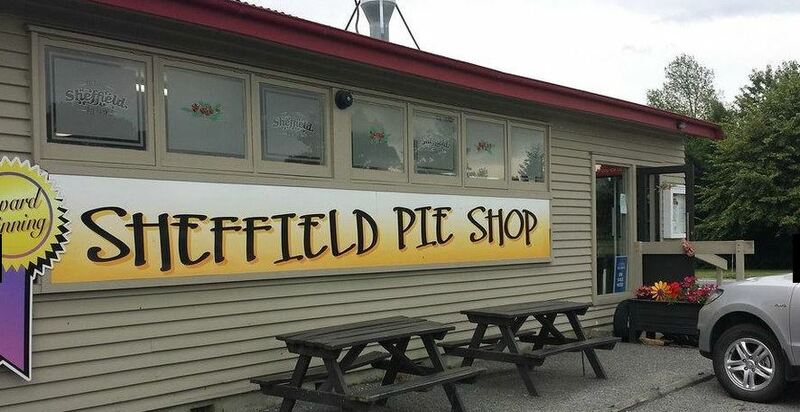 Our first stop was the Original Sheffield Pie Shop as we have garnered a love for the traditional NZ meat pies. We were not disappointed, bloody good pies!! 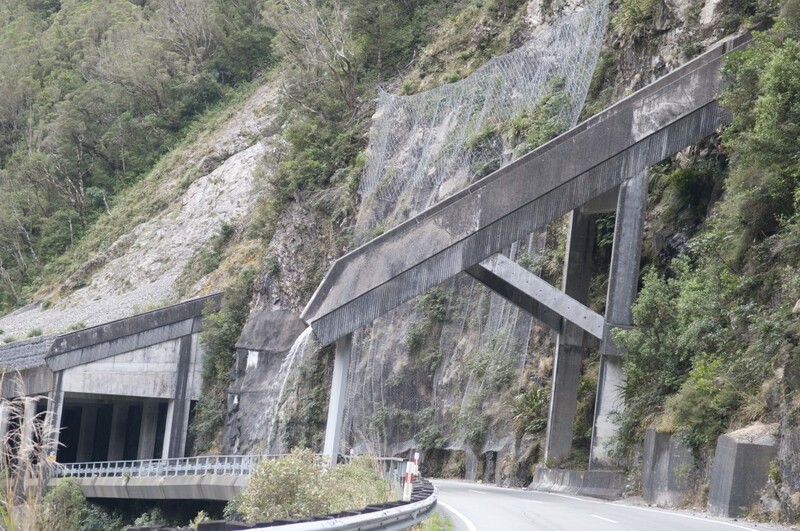 The road slowly wound its way up into the foothills of the Southern Alps and the scenery changed constantly. But the pictures can better describe that. 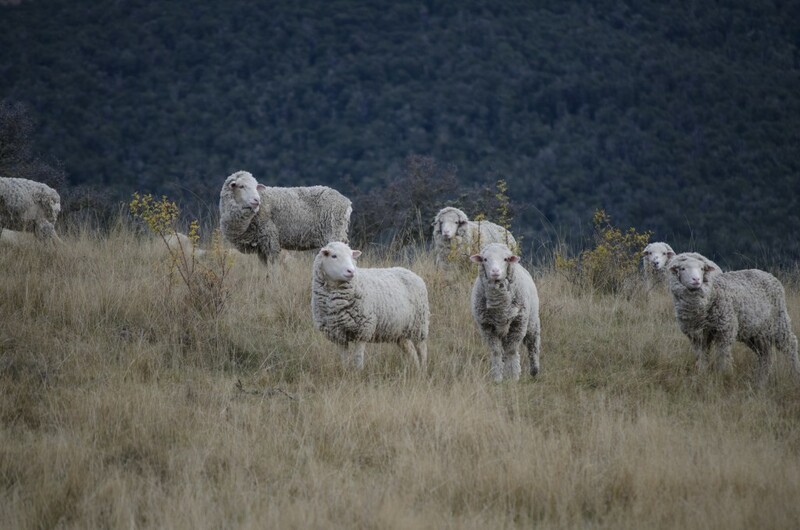 To make our road trip a little more NZ authentic we did follow a sheep transport truck for a little way as we wound our way up through Arthur’s Pass and little did we know at the time that the stream of water being dumped out of the truck was actually liquefied sheep dung. After a while we started to get an odor in the car and during our first stop we realized the odor was very distinct outside of the car from even 10 feet away. Oh well, no worries, it’s a rental! 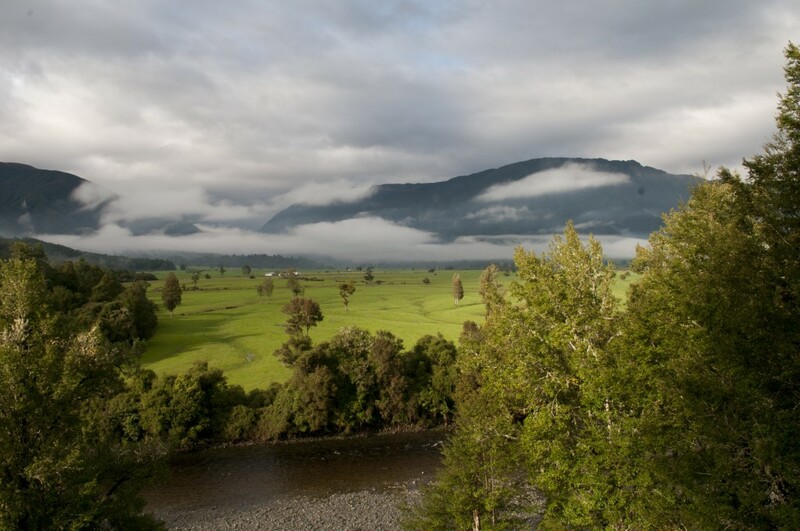 We made it all the way to Greymouth, the largest town on the West Coast and by the time we reached there we were tired, it was getting late and we didn’t feel like driving anymore so we made the decision to spend the night there. We were a little anxious about leaving the boat anchored without us being on board but we checked the weather and there didn’t seem to be anything to worry about for the next 12 hours or so. We found a great Youth Hostel, Noah’s Ark. Each room was identified by an animal versus a room number. We got the keys for the ‘Pig’ room. Hmmm was it because we hadn’t showered in a week or more, looked a little scruffy or maybe had some sheep dung residue? 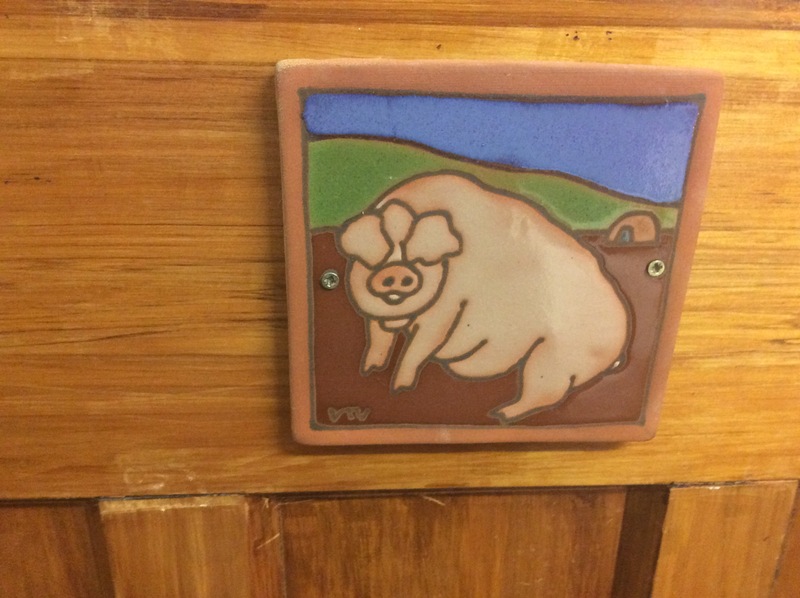 Whatever… we had a great meal at a nearby restaurant, took advantage of the hot showers and had a great night’s sleep. We made our way back to Christchurch via the same pass and made a few other pit stops along with another stop at the Sheffield Pie Shop. We made it back on Landfall before nightfall and all was well in Purau Bay. We were fortunate to be back on the boat as the next evening a weather system passed through bringing with it gusts of 50+ knots of wind. It all happened very quickly. I was standing in the galley and could hear and feel the wind picking up. 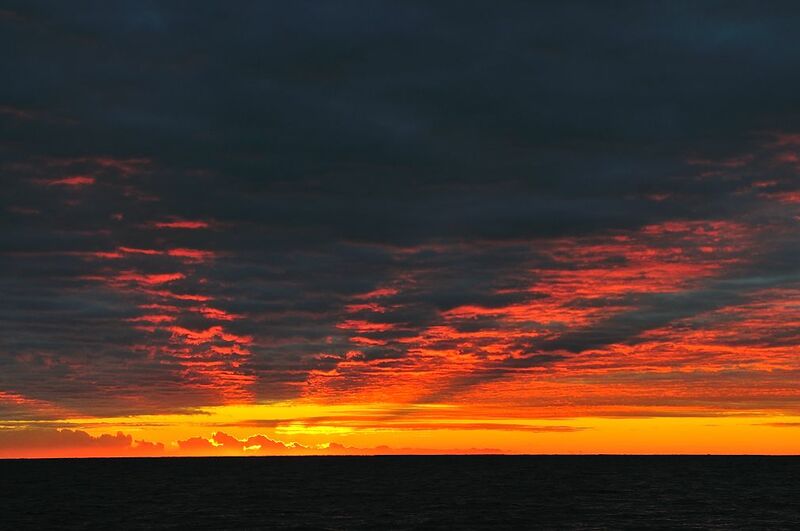 I suddenly felt the boat moving and at the same time the anchor alarm went off. Dennis was on deck within seconds and quickly started the motor realizing we were dragging the anchor. There was a large Otago University research boat anchored behind us and we were drifting towards it very quickly. Dennis had the boat in full throttle trying to keep Landfall from crashing into the research boat. I radioed the captain to alert him of our predicament and to determine where their anchor was in relation to our anchor. He turned his spotlight on us and advised us that it was safe for us to pull in our anchor. I quickly went on deck with a jacket for Denny as it was cold and raining very hard and he was out there with just pants and t-shirt. I ran forward and proceeded to bring in the anchor and luckily we were in shallow water so it didn’t take much time for the windlass to raise the anchor. Thanks to Denny’s quick reaction to our predicament, we managed to avoid a collision. We moved to the center of the bay and re-anchored hoping that we could set the anchor despite the driving wind and rain. We put out about an 8 to 1 scope and we were successful in re-anchoring. The weather front only lasted about an hour and we were soon back in calmer weather conditions but we didn’t sleep well that night. All the while we were dealing with avoiding a collision and re-anchoring we were aware that there was another boat in the same predicament. It was our first experience with the anchor dragging and we were thankful that we were on board when it happened despite the fact that we had a 4 to 1 anchor scope out in only 10 feet of water. It was also the other boats first time dragging anchor and we figured it may have been attributed to some very fine sand in spots. Incidents like that make us more aware of how quickly things can take a turn for the worst when mother nature unleashes it’s fury. 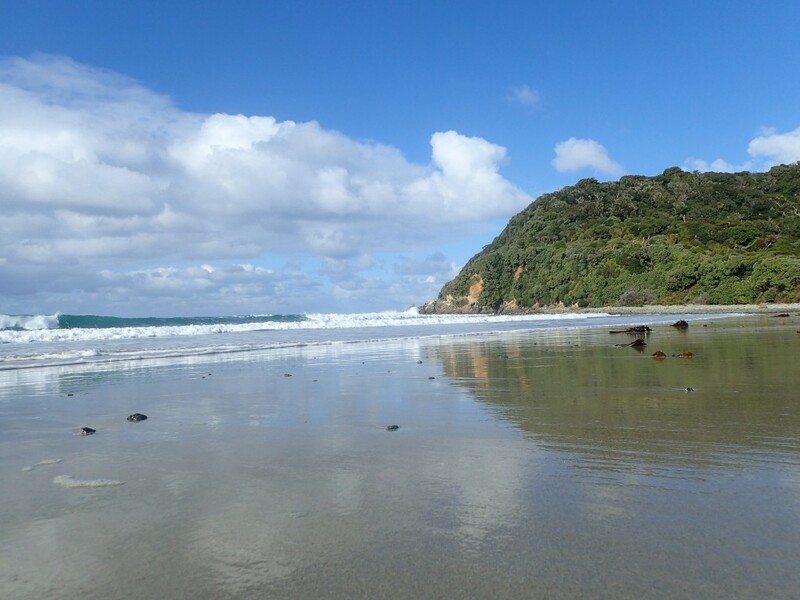 We had to wait a couple more days for a weather to make our way to the North Island and after the anchor dragging incident we were hesitant to get off the boat so that made the wait seem to go on forever. We had to wait for the peak of high tide and motor sail our way out of the long harbor on a falling tide. This meant that we could not leave Dunedin until mid afternoon and it was an overnight and a full day sail to Akaroa. 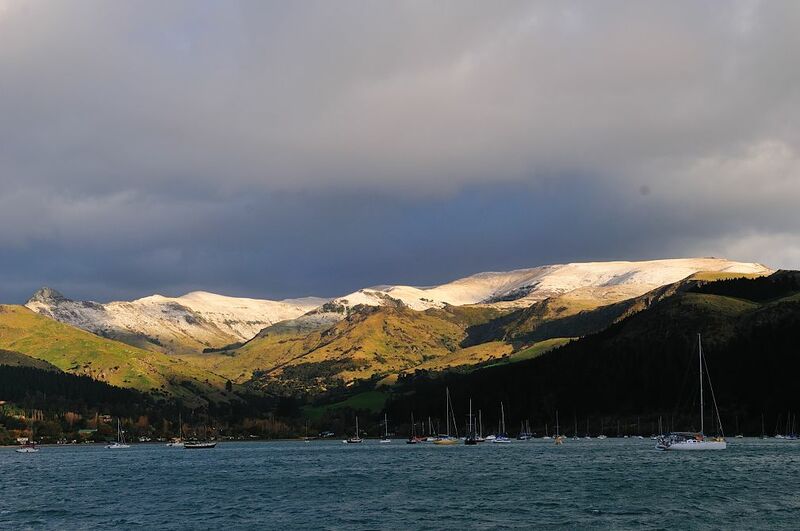 We entered Akaroa on a setting sun and had to anchor in the dark. This required me to stand on the bow with a flashlight so that we could avoid motoring over existing mooring balls. We spent a day exploring the touristy little town with it’s French heritage. It was nearing the end of the tourist and the cruise ship season. Although it was a quaint little town, we had the sense that the locals were preparing for ‘down’ time and were a little tired of catering to tourists like ourselves. We had pastries and coffee at a café and made the decision to continue our way up the coast to nearby Lyttelton where we would wait for a weather window for our next puddle jump. 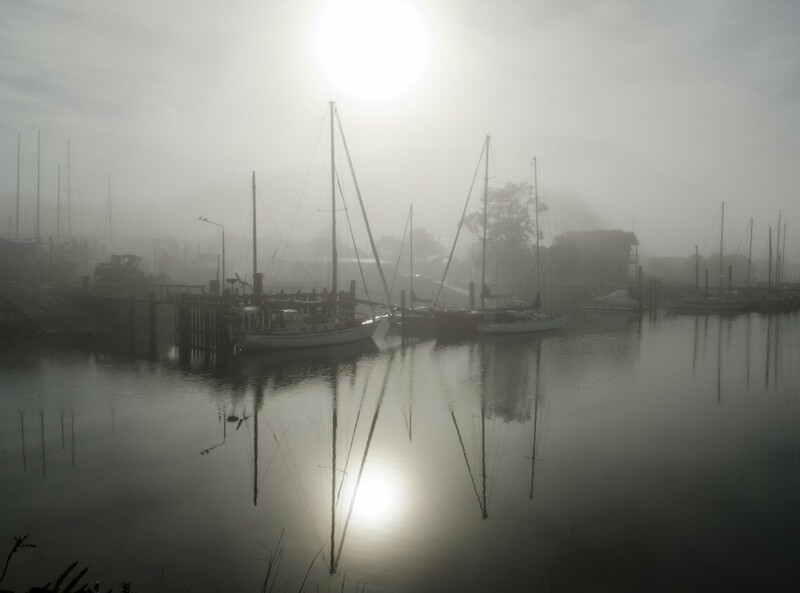 We left the next morning, shortly before sunrise and had a spectacularly warm, sunny motor to Purau Bay. 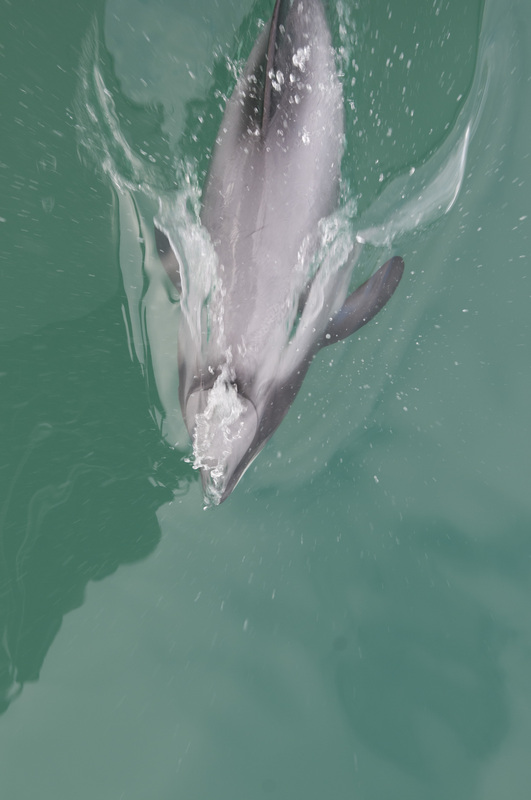 Hector dolphins followed us all the way up the coastline, showing off their elegant blend of colours. 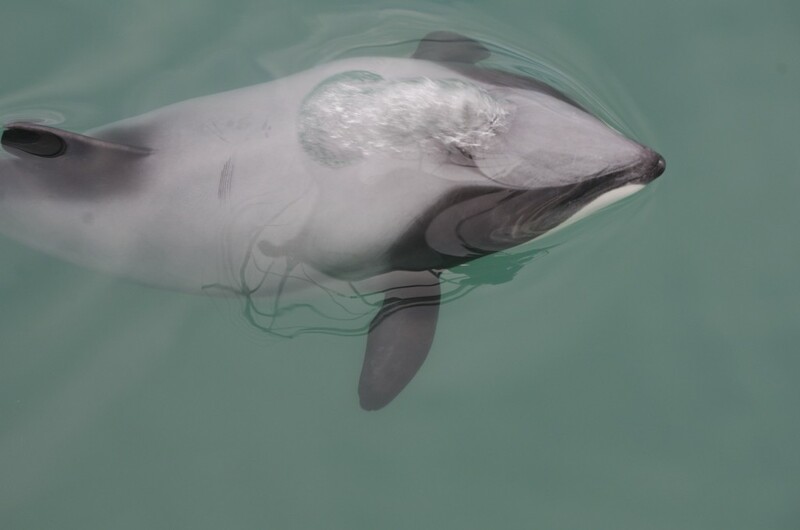 Again we felt fortunate to experience a rare gift of nature as Hector’s dolphin is considered the world’s smallest and rarest dolphin. We finally had a weather window to leave Steward Island and cross Foveaux Strait, which is in the middle of the roaring Forties and rarely calm. With the diminishing effect of distance, Steward Island slowly disappeared. 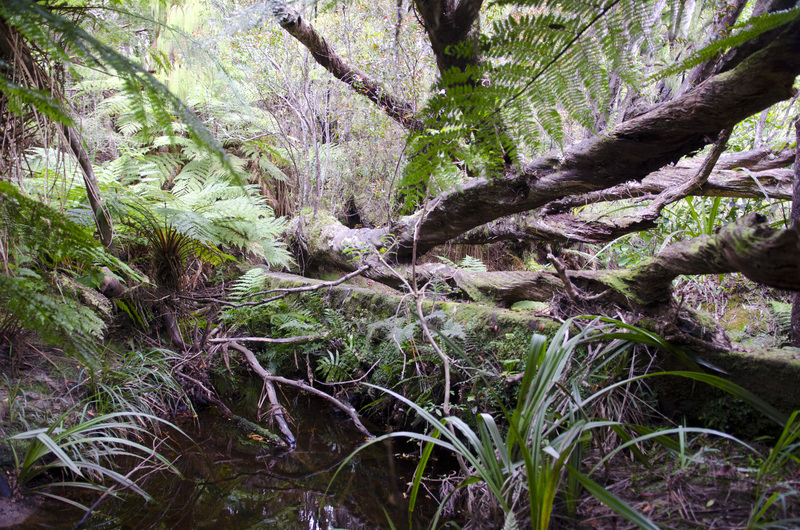 We felt some regret to leave this beautiful, isolated little patch of paradise. 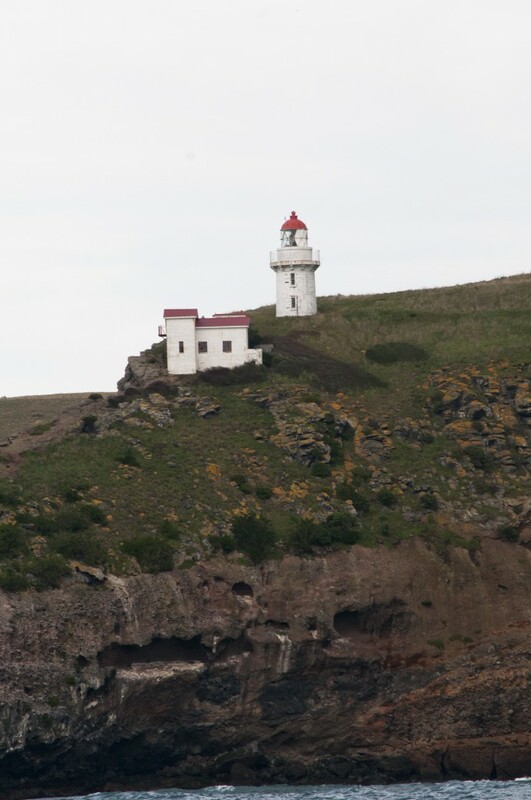 My anxiety about crossing Foveaux Strait was unwarranted and our sail to Dunedin was uneventful. 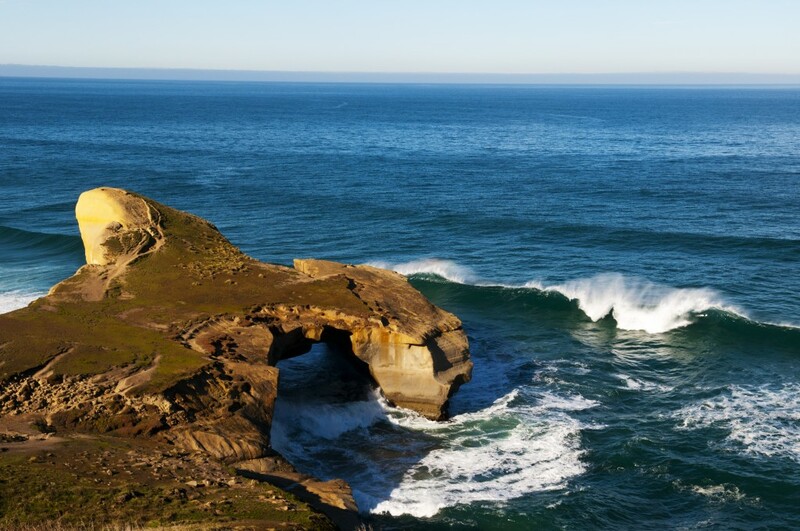 As we approached Dunedin we were again awed by the beautiful coastline. 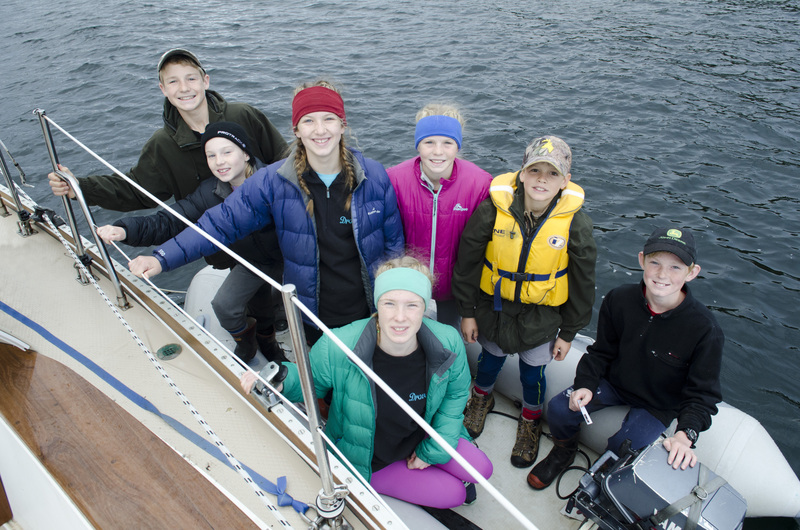 After contacting Harbor control we were given clearance to traverse the 6+ miles of the natural harbor to our destination, the Otago Yacht Club (OYC). 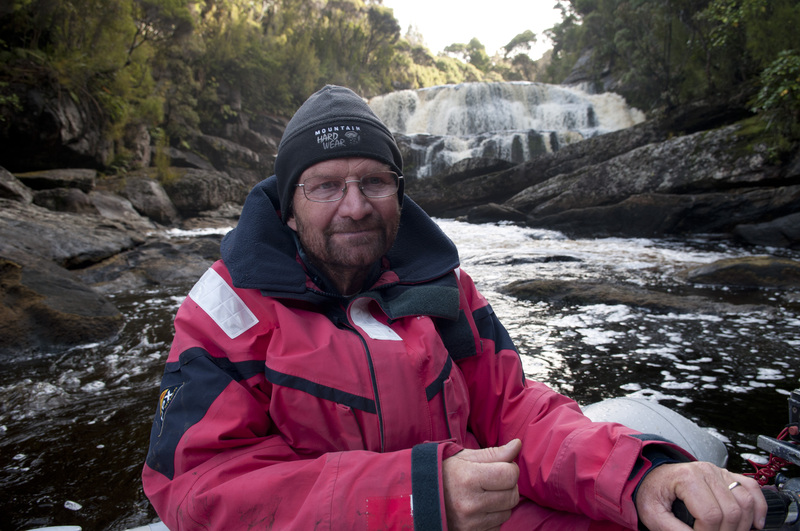 I used our Vodafone cell phone service and called the OYC manager, Barry, so that he could help us navigate Landfall to our berth as we arrived shortly after sunset. He stood on the shore and used a laser pointer to ensure that we approached the entrance without any incident, although we did have to drag the keel through the mud. It was a little intimidating to motor to our designated spot in the yacht club with ‘0’ feet showing on the depth meter. It was somewhat of a treat to stay at a marina with hot showers, laundry facilities, access to fresh water, free Wi-Fi and use of the club house that included a large kitchen with commercial grade appliances. I took full advantage and used the slow cooker to make ‘pulled pork’ and the oven to roast a couple of whole chickens. We shared our oven cooked meals with friends from Dunedin. 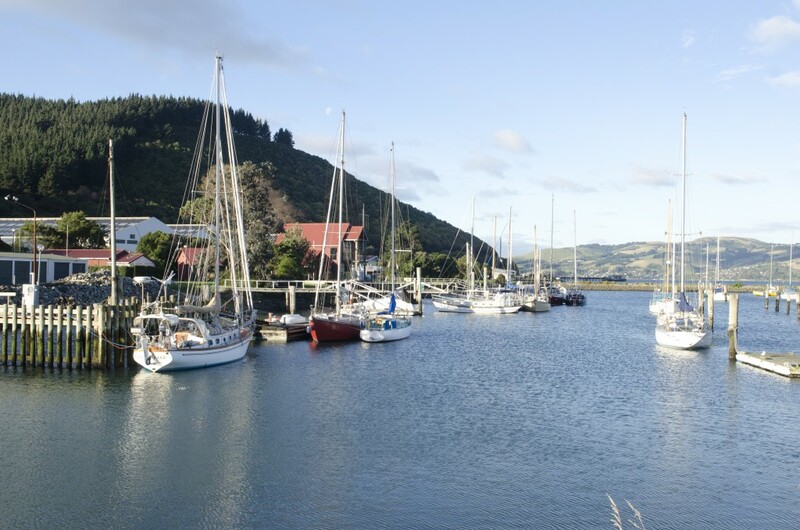 OYC is probably one of our favorite NZ marinas because of the people and the facilities. 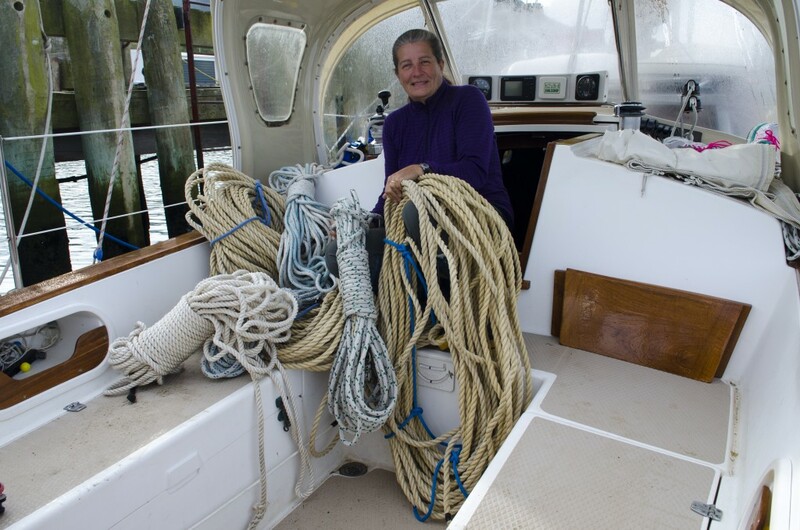 We took advantage of the available fresh water and thoroughly cleaned everything including the ‘miles’ of line we used for anchoring in the fiords and Steward island. 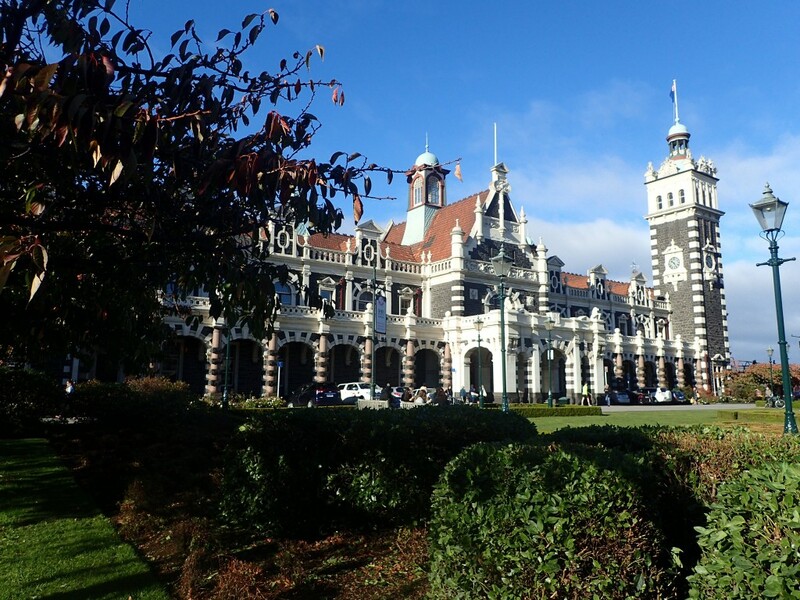 While in Dunedin we toured and enjoyed the grocery stores, restaurants, city architecture, museums, and public transportation. We visited the large Saturday market and came home with some NZ chicken and beef pies and a Venison smoked sausage stick. The ‘pie’ lady gave us a small complementary venison pie as a welcome gift once she heard how we had arrived in Dunedin. 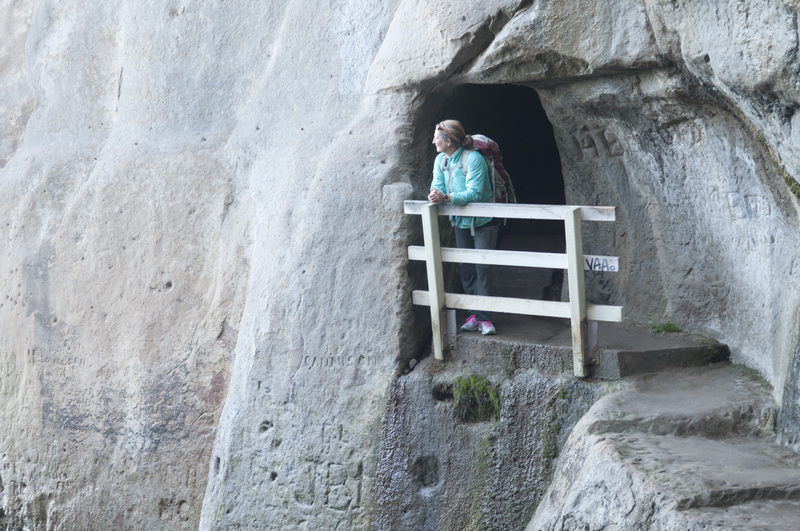 We packed a picnic lunch and with the help of the great public transportation, we made our way to Tunnel beach. Access to the coastline required us to tramp down a steep inclined coastline but it was worth it as the scenery was stunning. Note the hiking trek to the top of knob where we had our picnic. After the isolation of Steward Island, it was a nice change to return to urban living! We knew leaving Lords River would be a challenge as the wind seemed to whistle around the point into the bay. As we started to make our way out of the pass the wind was 20 knots on the nose and we had a few steep waves and current do to the incoming tide. It all added up to a nasty retreat out of Lords River with only us only going 1 to 2 knots. The waves crashing on the nearby rocks seemed to be even nastier then when we made our way in. 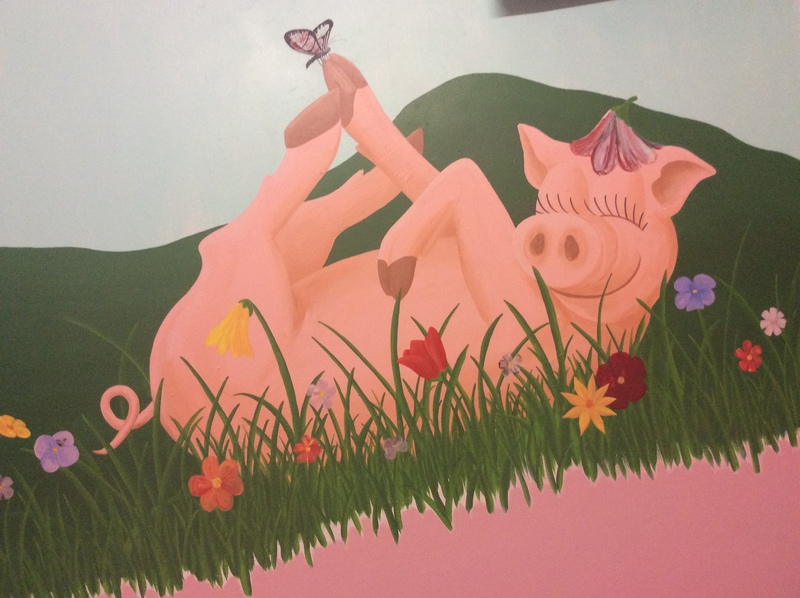 I was again feeling a little vulnerable and scared despite Denny’s reassurances. Two hours later and we were well on our way to Paterson Inlet. Our first stop here was an anchorage that was a short dinghy ride and walk to Oban. 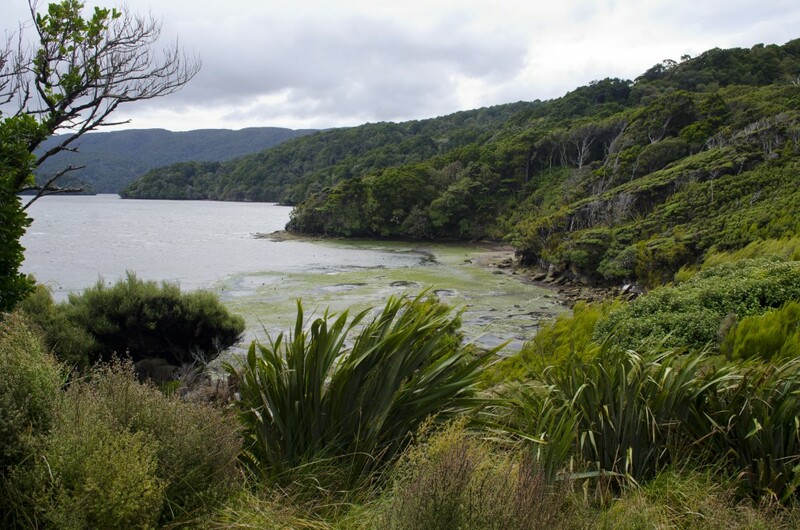 The only settlement on Stewart Island and its main existence was catering to the adventure tourists interested in doing the beautiful hikes around Paterson Inlet and other tourists wanting to do some hunting and fishing nearby. We found a Youth Hostel in Oban where we could do our laundry and for $5 we could also use the shower facilities. I can’t begin to explain how good the shower felt. 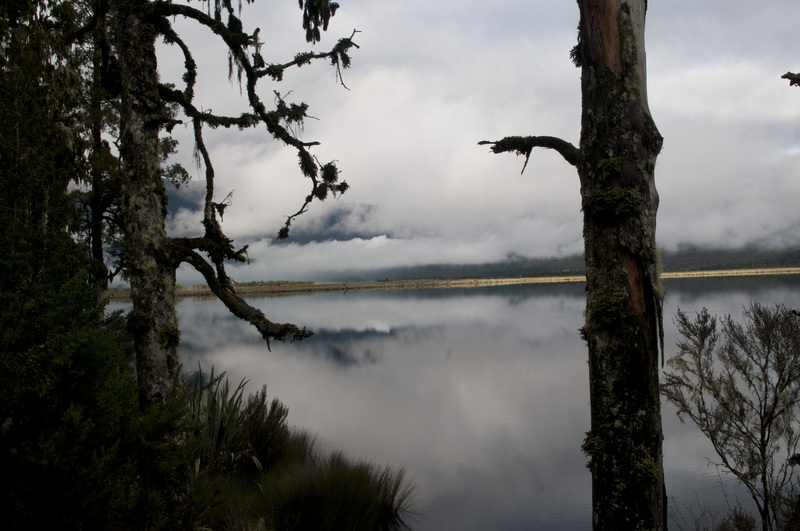 Our last long, hot shower had been in Te Anau. We filled our propane tank and managed to get some fresh, expensive veggies and fruit at a small Four Square store. On one of our trips back to the boat we met a great bunch of kids who wanted to know if we were heading back to a boat after spotting our propane tank and backpacks. Once they found out that our boat was our home and realized how far we had sailed, they had a hundred questions. We invited them to visit us on the boat once they had their parents permission. Bright and early next morning they were waiting at the dock for us. We may have delayed their parents plan to get an early start for a nearby hunting lodge but they were really excited about coming on board Landfall. Great kids with great questions. Really enjoyed having the short visit with them. Golden Bay anchorage was rolly and probably the worst anchorage of the trip but we had cell phone coverage which meant we had internet. This allowed me to file my income tax and it allowed us to confirm that our visitors visa had been extended and we could legally continue our way up the coast. But we were glad to finally make our move from this anchorage. It was great to anchor in a calm, protected anchorage. This little bay had a barge that may have been used during the busy summer season and a rustic old cabin overlooking the bay. It didn’t seem like anybody had been at the cabin although it was fairly well maintained. Kidney Fern Arm was a great place to do some kayaking and hiking. I found a great spot with some cockles and we had our first cockle and pasta dish. The cockles are small so a lot are needed for a decent meal. 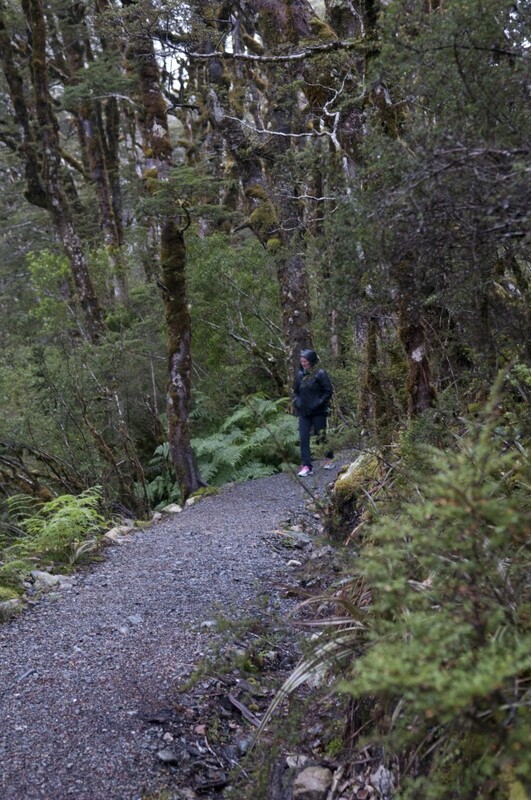 From here I had access to the Rakiura track, one of the 9 NZ ‘Great Walks’ and NZ ‘ End of the Earth’ track so I decided to do a day hike. Unfortunately Denny had to work on the head as we could no longer pump to flush, not a good thing. I managed to get to the North Hut and got back just as Denny was putting everything back in everything in good working order. 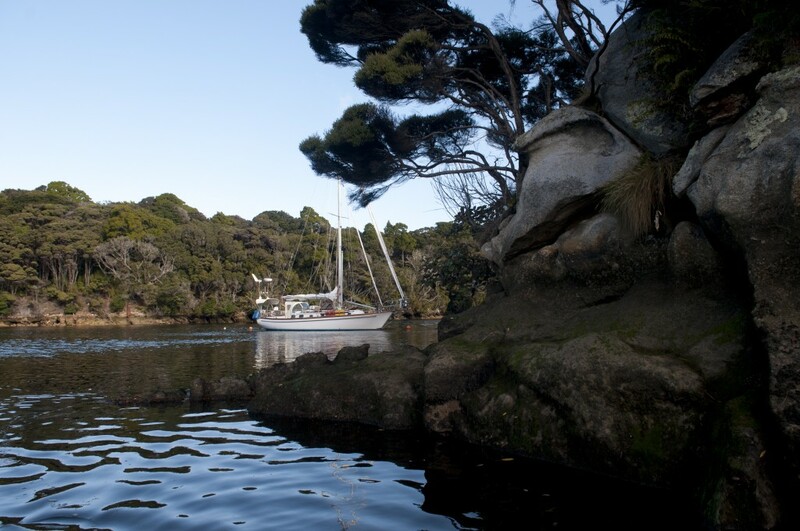 This would be our last anchorage in Stewart Island. we were feeling the pinch of time. From here we would wait for a weather window to make our way to the South Island. 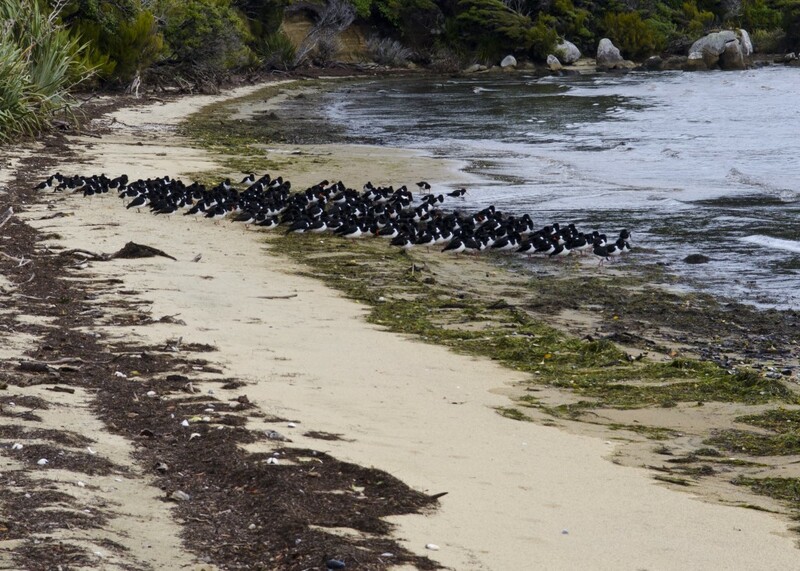 While we waited we had some company on Landfall. 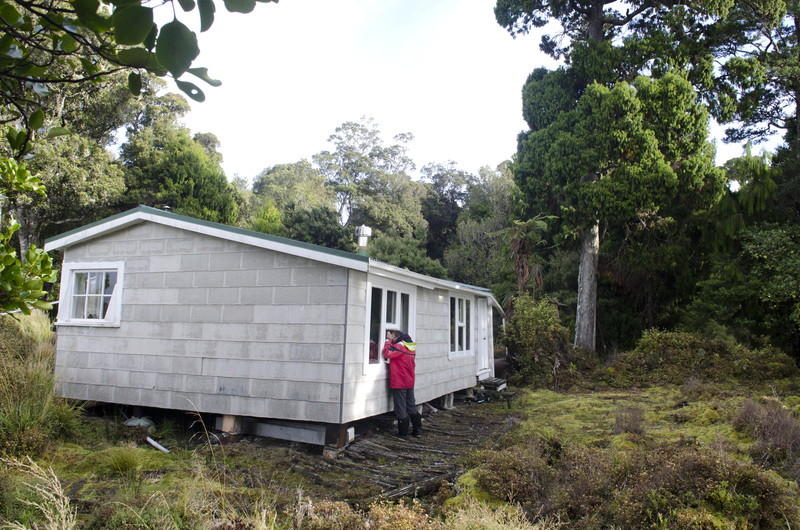 We spent an evening with a couple of hunters at a nearby hut and with Rene from the yacht Ata Ata. We did a few hikes on Ocean Beach hoping to see a kiwi but we weren’t so lucky. 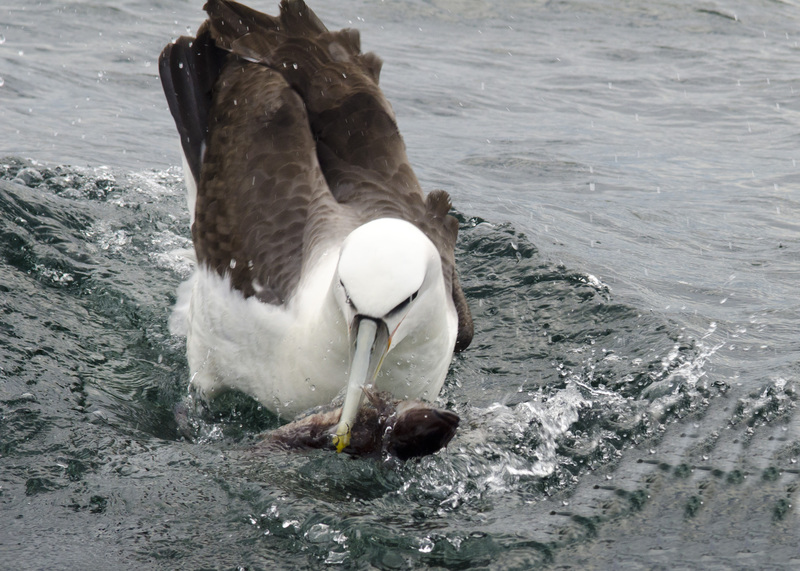 And we of course did lots of Blue Cod fishing but this time we had some company from a few hungry albatross. They were very bold and came so close to the dinghy we could again almost touch them. 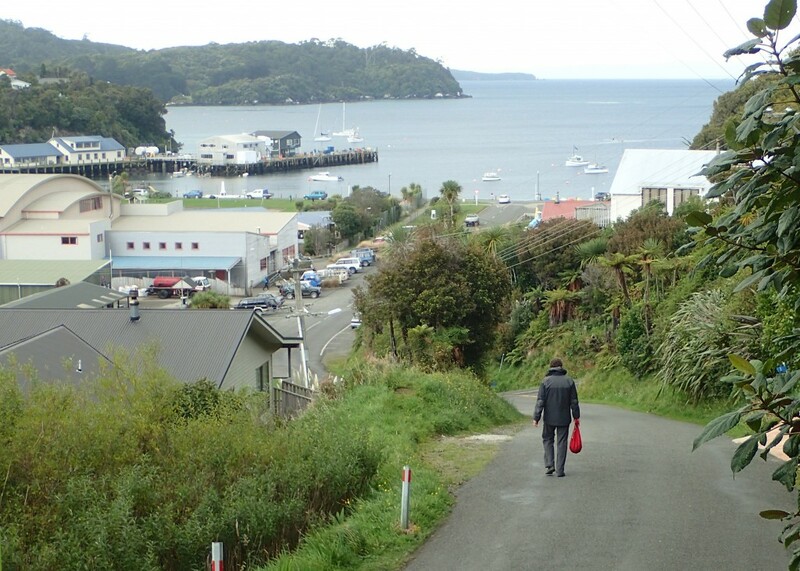 A 5 day wait for a good weather window to sail by past the infamous Foveaux Strait, good bye Steward Island, hello East Coast of the South Island. We left Port Pegasus on a beautiful calm day and had a beautiful sail. We decided we would go as far as we could allowing enough daylight to anchor. 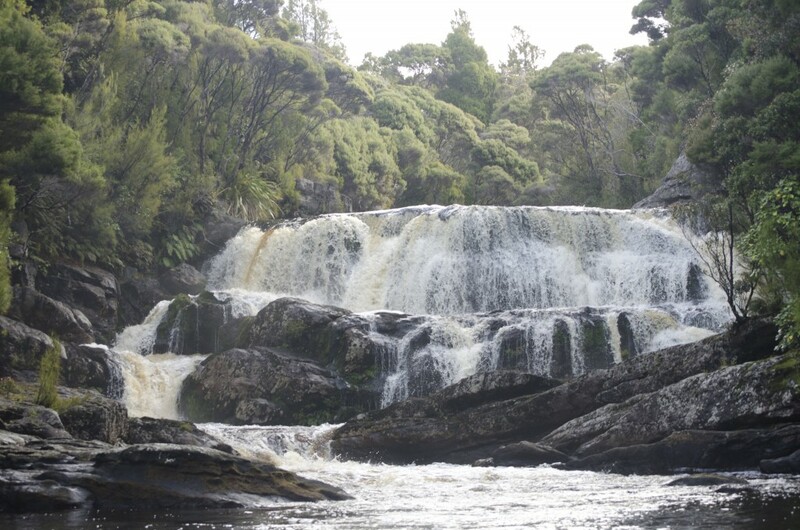 So our final destination for the day was Lords River. The passage into the bay was narrow and the waves crashing on nearby rocks made it seem a little daunting but once inside the bay it was calm and tranquil. 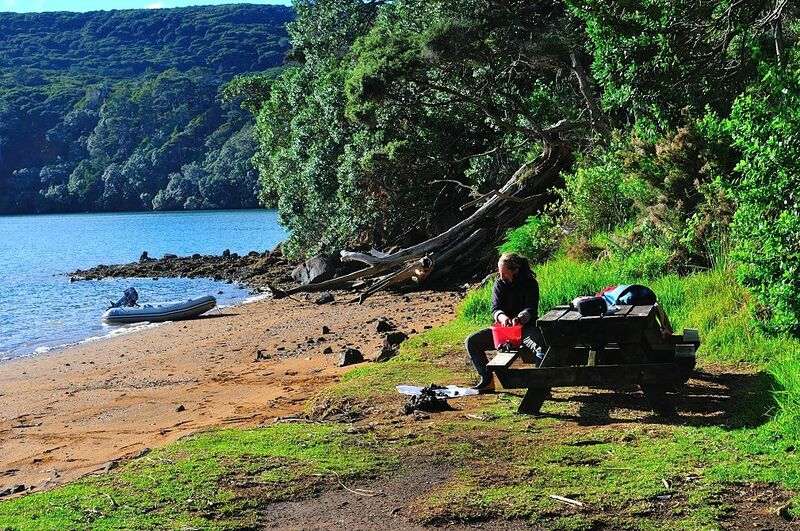 A picturesque bay with a few huts all full with deer hunters. The Nook was a comfortable, secure anchorage although the entrance was a little shallow. There was a hawser across the bay that we could tie to. We sidled up to it slowly and grabbed the line with the boat hook and tied the stern and bow lines to it. We always look forward to anchorages that do not require shore lines or anchor. In the morning we inflated the dingy and headed up the river. It was a long dinghy trip up the river which we had to do slowly not knowing the depths as we followed the twists and turns. We went as far as we could and were surprised to see another dinghy there. It turned out to be hunters staying a small hunting hut and we were invited to come inside for a cup of coffee and a chat. We couldn’t stay long as we didn’t have much daylight left. As we were getting ready to go one of the hunters offered us a leg of venison. They still had a few days of hunting left and they had plenty of deer already cleaned and aging quickly due to the warmer than expected temperatures (no electricity so no refrigeration in the huts). 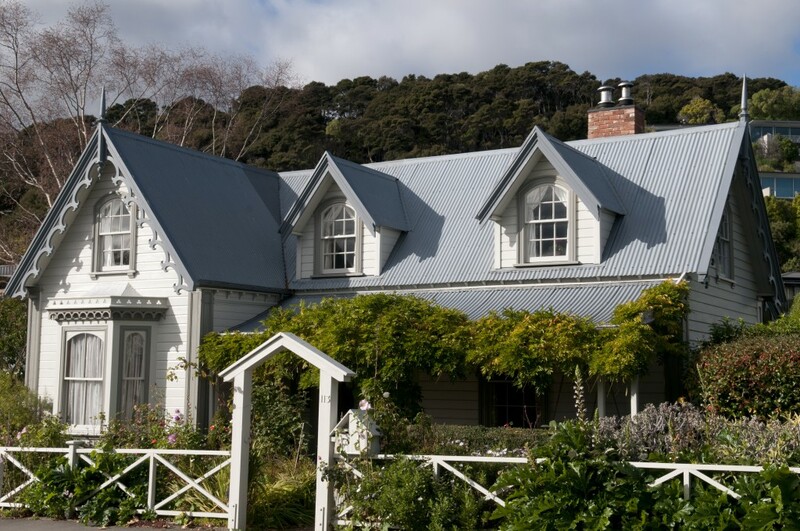 We love South Island hospitality!! 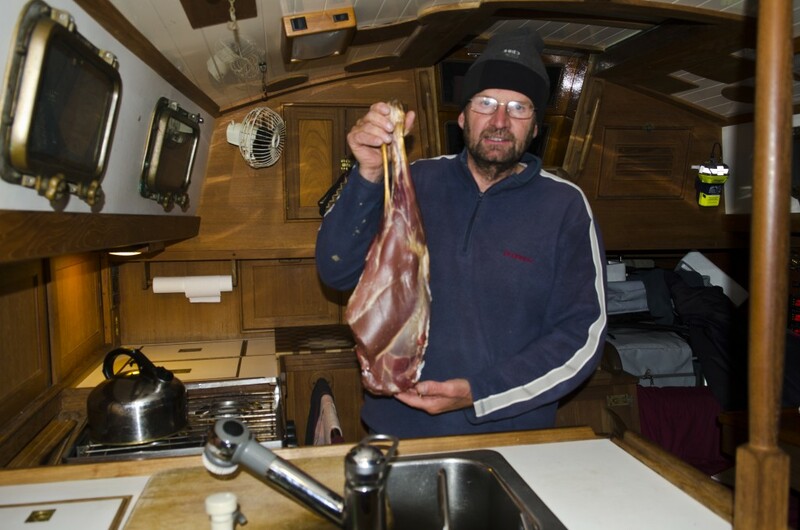 Back at the boat we BBQ some venison and vacumn packed and froze the remaining roasts. A great treat after our daily feasting on fish and mussels. Anyone for some Venison? In case you didn’t recognize the face it is Denny!! It was an easy departure from Seal Cove. pull up the anchor and go!! There was only one great weather anchorage in the North Arm of Port Pegasus and didn’t take us very long to get there. It was an anchor and stern line tie as the bay didn’t offer much room for the boat to swing. With only a day to explore we decided to do a dinghy ride to the old ‘Tin Settlement’. 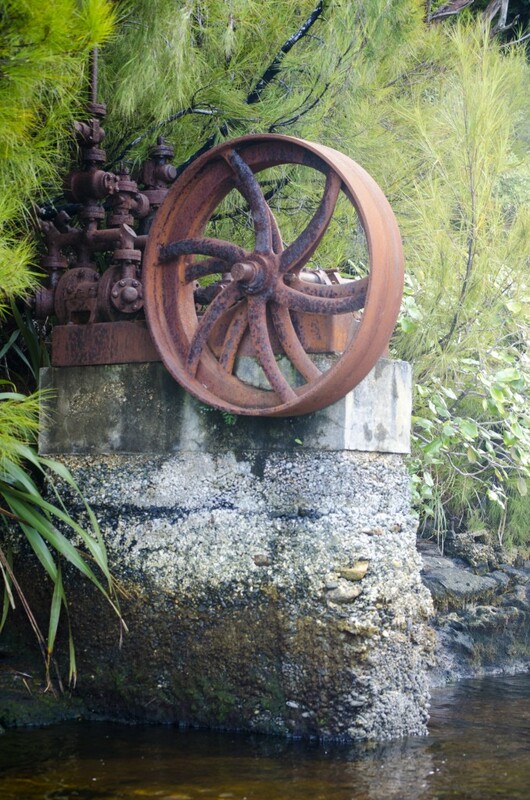 The settlement was the ruin remains of tin mining back in 1889 and included a wharf, post office, general sore and hotel. 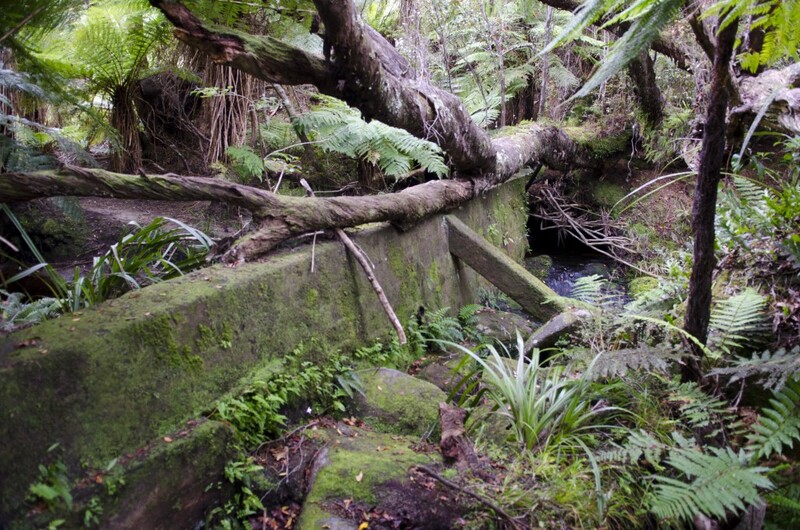 The tin rush did not last long and the area was then used for a fish refrigerating plant. We visited the old compressor and made it to Belltopper Falls which was well worth it. Our only regret was not having the time to do the ‘Tin Range Track’. 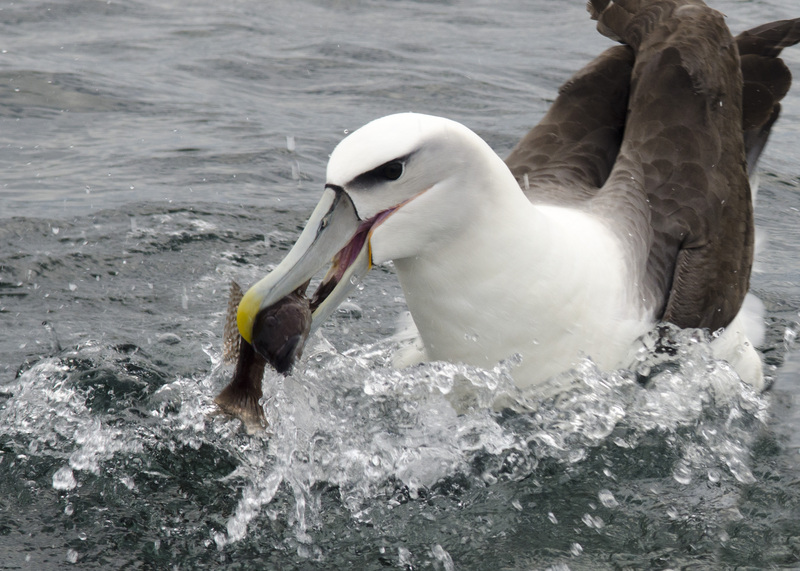 Denny did make out for a quick dinghy fishing trip and it was Blue Cod for supper. Can never have enough of the fresh seafood. _________________Sailing LandFall | Powered by Mantra & WordPress.